Peter Mathews drops his welding hood. Blue sparks fly as he connects the frame on what will soon be a new rock climbing boulder on the Montana State University campus. Mathews works with Bozeman-based Stronghold Fabrication, which built five of the six artificial climbing boulders in Bozeman city parks, as well as rocks in Belgrade, Big Sky, Livingston and Great Falls. 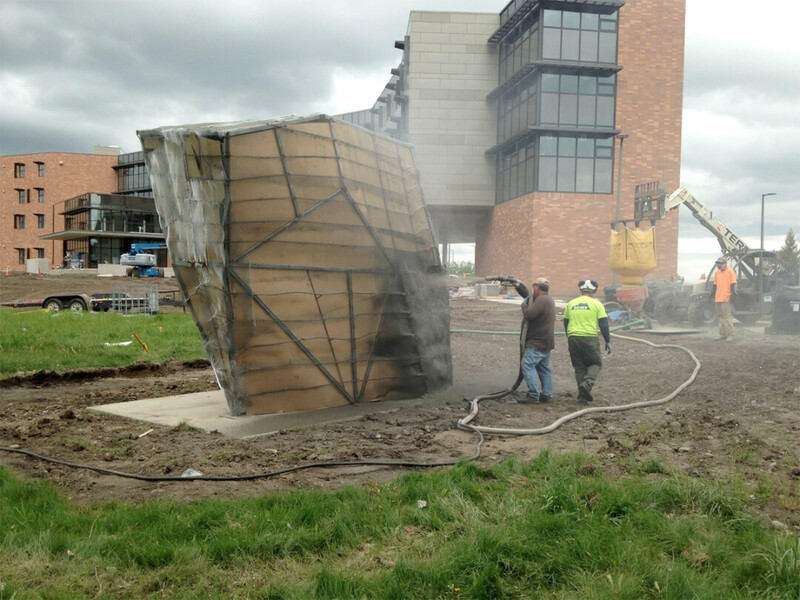 Located on Roskie Beach, the boulder is near Yellowstone Hall, MSU’s new 400-bed freshman dorm to be completed in summer 2016. “This boulder will have the most difficult climbing of any we’ve done yet,” says Pat Wolfe, who grew up in Bozeman and co-owns Stronghold with Whit Magro. Wolfe and Magro met while attending MSU, and both are accomplished climbers. Together they have established new routes around Montana and Wyoming, as well as in Yosemite, and summited Cerro Fitz Roy in Patagonia. The climbing boulders are a passion project for the guys at Stronghold, who employ six metal fabricators and focus on welding and fine blacksmithing for the majority of their business. For MSU, this new rock is a clear statement about the value the university places on outdoor recreation. MSU lacks climbing facilities compared to other institutions of similar size, Diehl said. A small climbing wall in MSU’s Marga Hosaeus Sports and Fitness Center is the only other on-campus facility. Built in a converted racquetball court, it sees an average of 65-70 climbers a day, according to MSU Assistant Director of Recreational Sports and Fitness Abbey Keene, who oversees the wall. 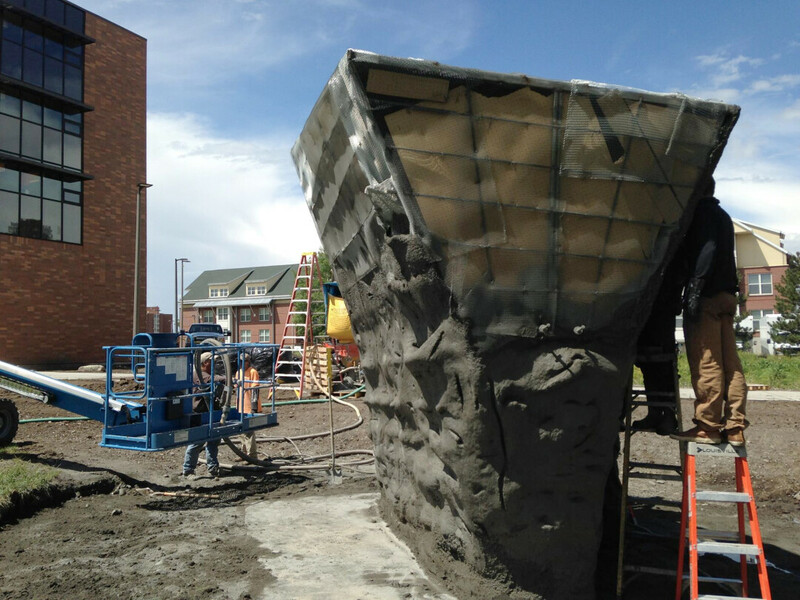 Funded by the Associated Students of Montana State University and the ASMSU Outdoor Recreation Program, the boulder was the brainchild of Jordy Hendrikx, Associate Professor of Geography and Director of the MSU Snow and Avalanche Lab. He initially proposed it as a memorial for graduate student Olivia Buchanan, who died in an avalanche in 2015. Hendrikx worked with Diehl and architecture professor Michael Everts to customize Stronghold’s structural design. Professional climber Conrad Anker, a Bozeman resident, also had input, as did MSU architecture students and climbers. They approached the design with a goal to include features for adaptive climbers. Architect Neal Baggett, who is in a wheelchair, worked with Everts and participants during a charrette to design climbing routes emphasizing hand/arm climbing. Everts said that he, Diehl and Anker were thrilled to find that common ground between able-bodied and adaptive climbers. “To create something handicapped-accessible, but not from the standpoint from accommodating a disability, but from focusing on the ability of someone who might be in a wheelchair.” There will also be a paved path to the boulder, he added. 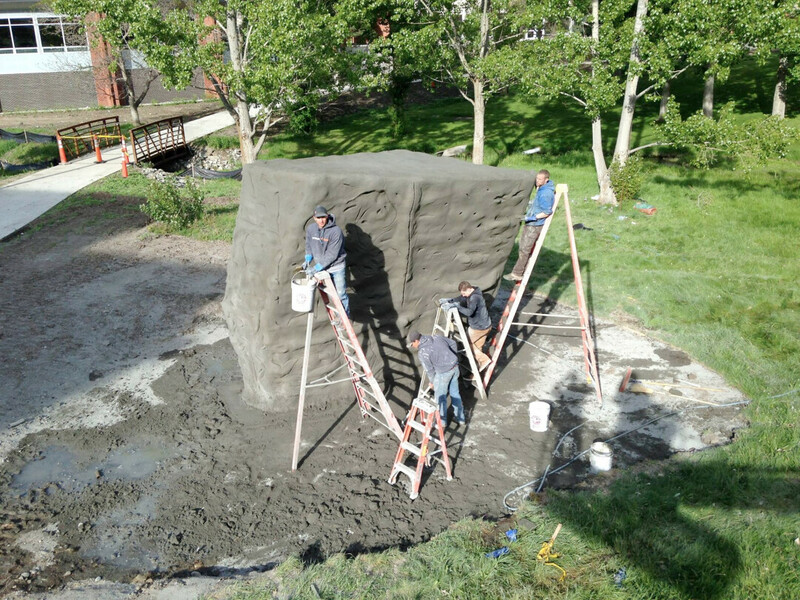 After Stronghold sprays concrete and sculpts the climbing holds into it, the boulder will cure for a couple of weeks while the landscapers fill the landing area with mulch and build a path. It will be open for climbing by July.